Wailea Golf Club, Old Blue Course Hole 2: This long par three just off the main road in Wailea is long. The tee shot must cross the unassuming pond that is in play for a poor shot. 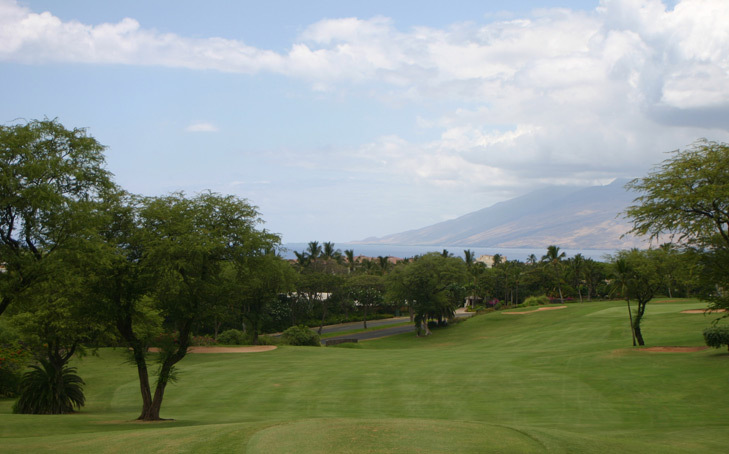 Wailea Golf Club, Old Blue Course Hole 4: The only par five on the front features a tee shot up over a hill between houses. From the top of that hill (only reached by huge drives) it is all downhill to the green with great views and the only real trouble being the houses to the far left of the fairway. 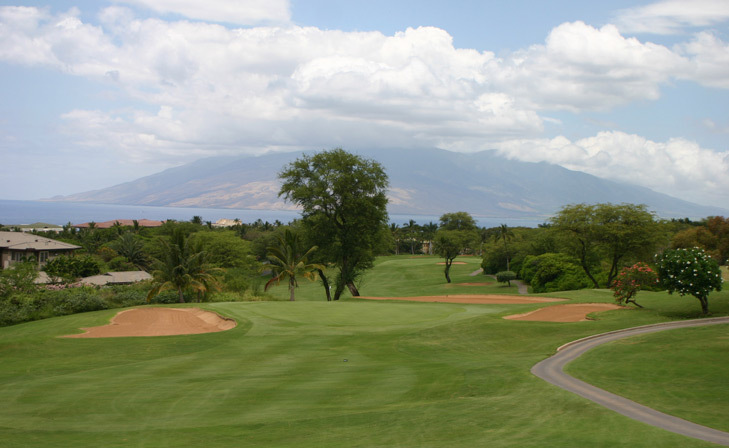 Wailea Golf Club, Old Blue Course Hole 5: This dogleg right par four is downhill to the collection area and then back uphill to the tiered green with a huge bunker to the front right. Thus, different pin placements can create a very different approach. 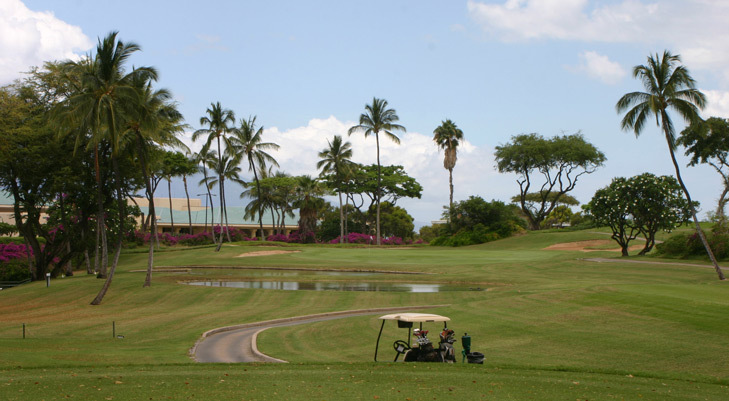 Wailea Golf Club, Old Blue Course Hole 8: This solid par four features a nice drive through flowering trees and is dead straight from tee to green. The uphill approach must be long enough to summit the hill and on target to avoid the bunkers.